Pearlised pale blue latex balloons suitable for air or helium filling. 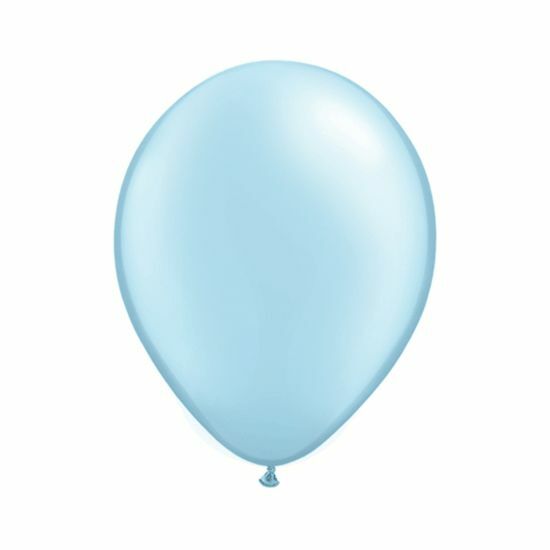 These pale blue balloons look great mixed with other shades of blue, whith other pastel colours or with white. They are perfect for Naming Day and Christenings as well as birthday parties. The balloons are very high quality and made by Qualatex. They measure 11 inches diameter when correctly filled and are supplied in a pack of 6.